What is the Open Kinetic Chain? In an open kinetic chain your arms or legs are free to move while they are exerting force. The example above shows the leg extension. 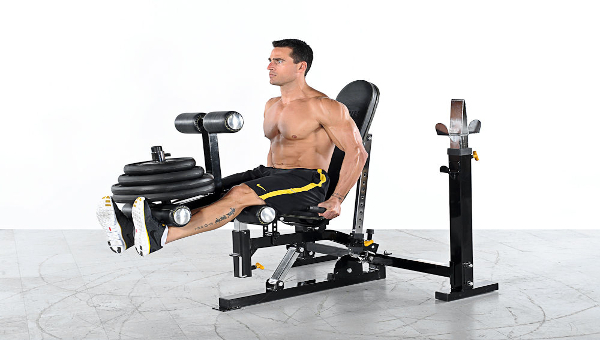 During this exercise your legs are free to move as opposed to being fixed to the ground or a set point. Other examples of open kinetic chain exercises are bicep curls, chest press, shoulder press, lateral shoulder raises and many more. This is the opposite of a closed kinetic chain which means that the limbs producing the force are fixed to a set point. Examples of those exercises are pushups, squats, lunges, etc.